During his secondary education, Artur Prior was a student at Wairarapa College in Masterton. 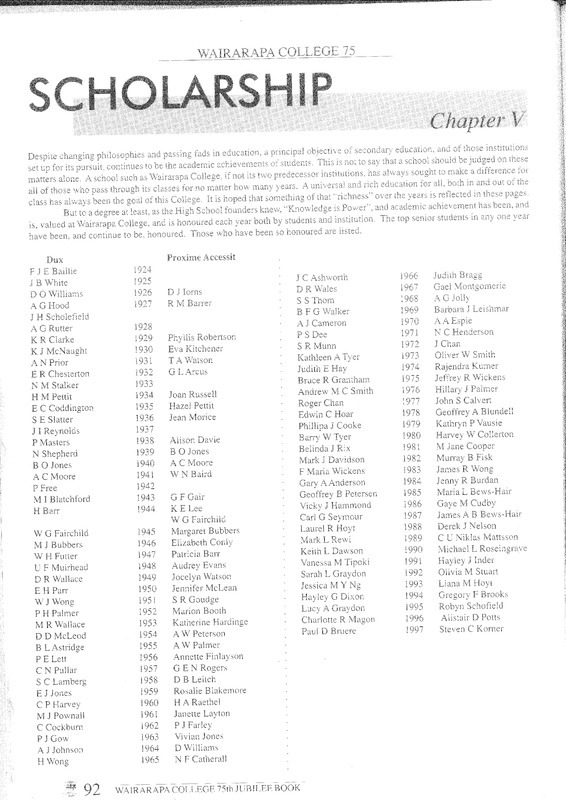 The 75th Jubilee Book of Wairarapa College, published in 1998, reveals his high academic achievements in high school. On p. 92 of the Jubilee Book, A.N. 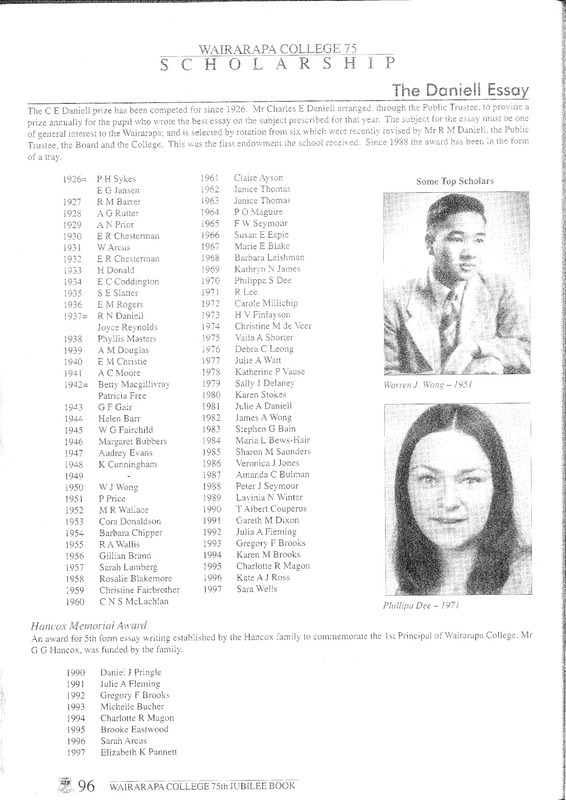 Prior is listed as the top senior student in 1931 and the recipient of the Dux scholarship. On p. 96, his name is listed as the winner of the 1929 C E Daniell prize, awarded annually to the author of the best essay on a prescribed topic. On p. 98, there is a paragraph on Prior's later research and publishing record, written in 1973 by Prior's high school teacher Olive Sutherland. 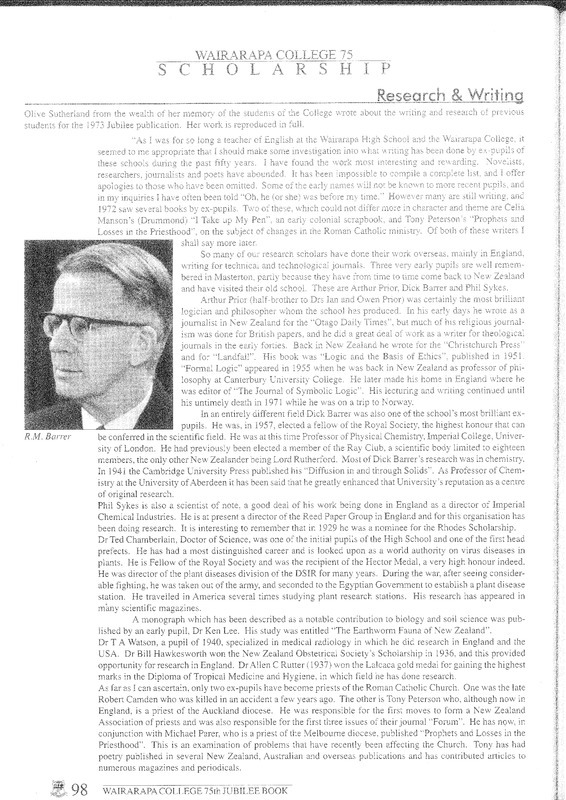 Wararapa College , “Arthur Prior's High School Academic Achievement ,” Popper and Prior in New Zealand, accessed April 21, 2019, http://popper-prior.nz/items/show/285.